In a batlle of youth versus experience, it was a 15-year-old who successfully opened BB&T Atlanta Open qualifying. 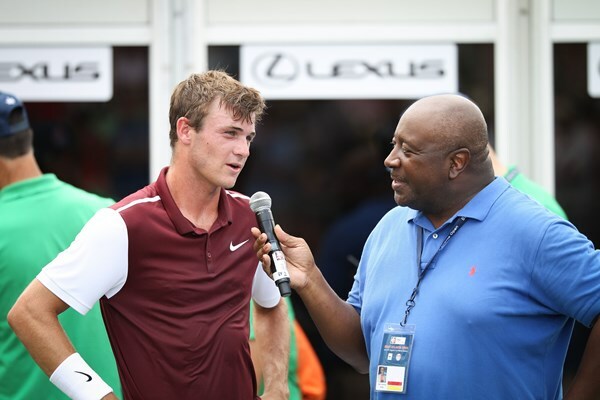 Fresh off his win earlier in the week at the BB&T Wild Card Challenge, Suwanee, Georgia’s own Trent Bryde defeated an ATP World Tour veteran Catalin-Ionut Gard of Romania. Bryde, 15, who is a member of the Team USA National junior team, showed poise and patience, even after falling down 5-2 in the first set. Using his forehand to move Gard from side-to-side, the teenager fed off a large crowd of locals to pull even at 5-5 in the opening set. Gard pulled ahead at 6-5 and held a set point, but Bryde fought it off, and jumped out quickly in the tiebreaker before finishing it off 7-4. It was much of the same in the second set for Bryde. He took command with an early break, waited for his opportunities to attack and closed out Gard 6-2 to the delight of his hometown supporters. 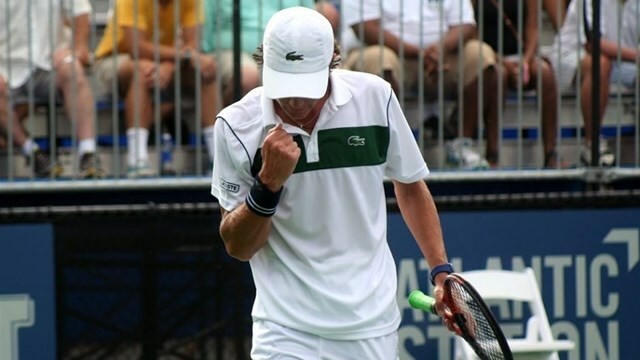 Bryde moves on to play qualifying top seed and another American, Denis Kudla on Sunday. Former ATP World Tour top-50 player Evgeny Korelev, of Kazakhstan showed glimpses of his past and held off a strong charge from veteran Mexican player, Antonio Ruiz-Rosales, in winning 6-2 2-6 7-6 (4). Other early Saturday qualifying results saw Americans, Andrew Carter and Evan Song both post victories.